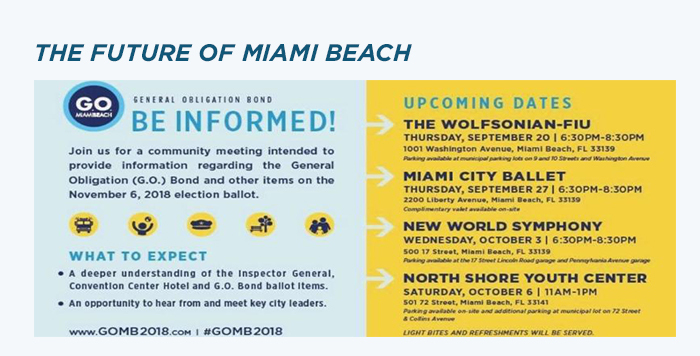 This November you will have a chance to decide the future of Miami Beach! Our Commission approved several ballot measures asking voters to invest $439 million as part of a general obligation (G.O.) bond that will fund critical public safety, park, and resilient infrastructure projects. Voters will also have a chance to authorize a lease of land so that a hometown hotel group can design, build, and operate a convention center hotel at no cost to the City. The hotel is needed to complement the major renovation of the Miami Beach Convention Center that is now poised to compete internationally for top-tier conventions! Rent payments collected from the hotelier will be appropriated for educational enhancements, transit improvements, and stormwater projects should voters approve of it. Make sure to join us at our upcoming town halls if you’d like to learn more about these and other questions on the November ballot. One of my favorite traditions is greeting our kids on the first day of the school year! 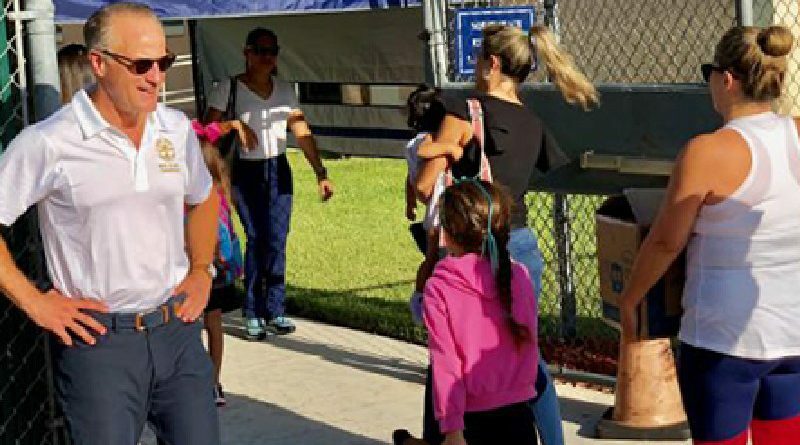 Even though we know our kids love summer vacation, all of them were happy to be returning to school to be with their teachers and friends. I’d like to recognize all the parents for their commitment to their child’s education and congratulate the parents with seniors in high school who will soon be embarking on a new and exciting journey. 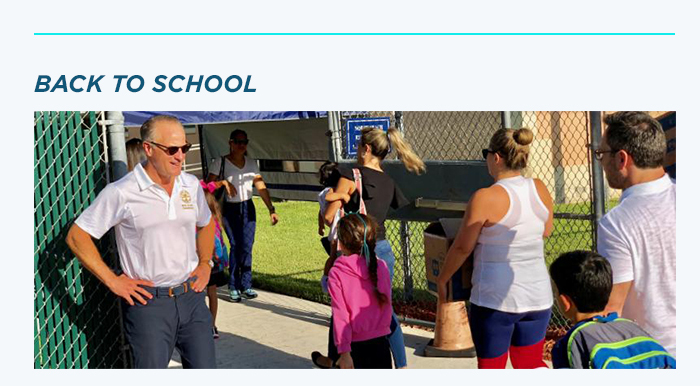 As a reminder, the City has appropriated funding to place a Miami Beach police officer at every public school, so everyone can rest assured that our children are in good hands because public safety is our number one priority. 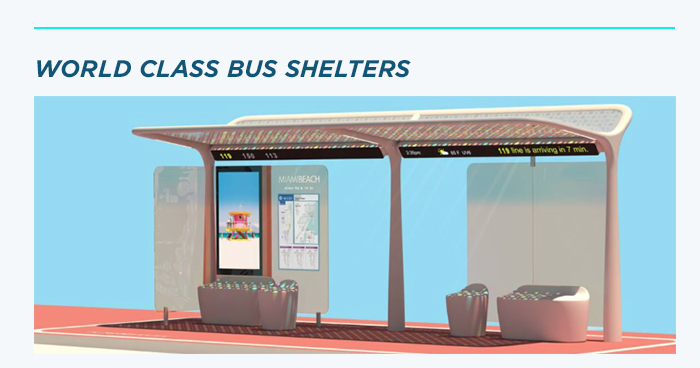 The City recently contracted Pininfarina, the Italian firm that designs Ferrari cars, to develop our municipal bus shelters because design matters to us here in Miami Beach. Too often local governments chose to build cheap infrastructure without imagination, so we’ve dared to be different and tasked Pininfarina to design shelters that are beautiful, useful, and affordable. We know the next generation of bus shelters will be as iconic as our lifeguard stands! Best of all, we expect the construction costs for the accommodations to be covered by the advertising revenue generated from the shelters themselves. In April 2018, the Urban Land Institute (ULI) was invited to evaluate Miami Beach’s climate adaptation efforts. 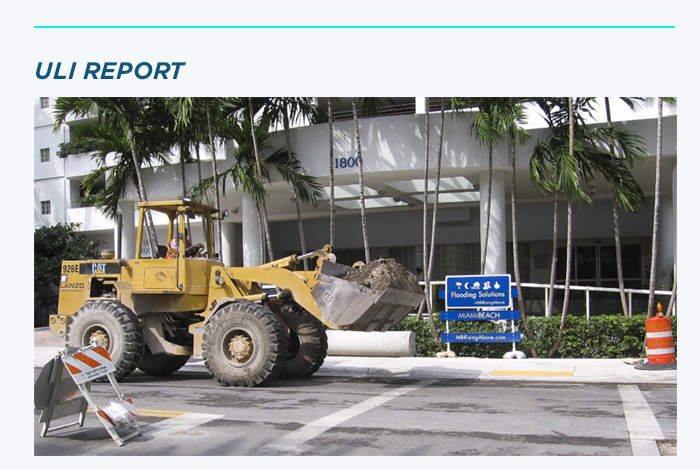 Now, ULI has released their much awaited, detailed report on our resilient infrastructure program. In the report, ULI noted that the City is on the right path, but it needs to design and integrate blue and green infrastructure projects to complement its current strategy of raising roads and upgrading its stormwater system. Their most important observation is that we are all in this together and we will only be successful as a City in combating sea-level rise if we all ban together to collaborate for a resilient future! Chairman Ron Book of the Miami-Dade County Homeless Trust invited me on a tour of the County’s “Housing First” buildings during the Commission’s summer break. Housing First is a new policy strategy supported by the US Department of Housing and Urban Development in which homeless individuals are provided with a housing unit and wrap around services without preconditions. According to the National Alliance to End Homelessness, this approach is guided by the belief that people need basic necessities like food and a place to live before attending to anything less critical, such as getting a job, budgeting properly, or attending to substance use issues. Hopefully, Miami Beach will soon adopt this new proven strategy to end homelessness. If you’ve run past Belle Isle or through Brittney Bay Park recently, you might have noticed new fitness stations. These fitness stations have been installed as a free one-year pilot program with the goal to make exercise equipment and fitness classes easily accessible and free to residents. It is our hope that all residents in Miami Beach are never more than 5 minutes away from enjoying a workout! 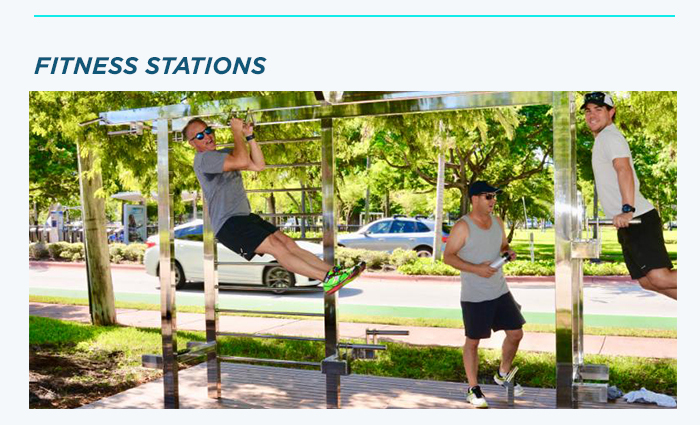 Users who utilize the station will be able to do pull-ups, tricep dips, push-ups, stretch exercises, and more. Two more stations will be installed at South Pointe Park and Bandshell Park as part of the pilot. 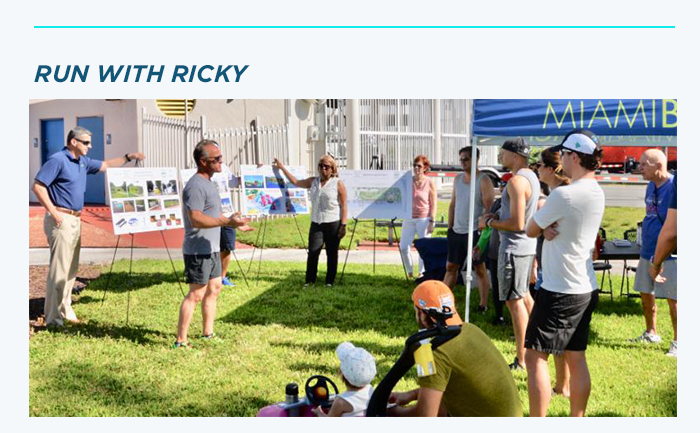 We recently hosted our “Run with Ricky” at Maurice Gibb Park in partnership with the Sunset Harbour Neighborhood Association, Belle Isle Residents Association, and the Sunset Islands III & IV Homeowners Association. Thank you to all the neighbors who showed up on a Sunday to work up a sweat and learn about the different community projects in store for us. If you couldn’t make it this time, linked below is the draft designs for Maurice Gibb Park and the Pocket Park that were presented by our Capital Improvement Projects Department before our run. The City of Miami Beach will no longer use RoundUp and RangerPro herbicides in its parks and golf courses. The main ingredient, glyphosate, in these weedkillers has been suspected of causing cancer in individuals who come in contact with it. 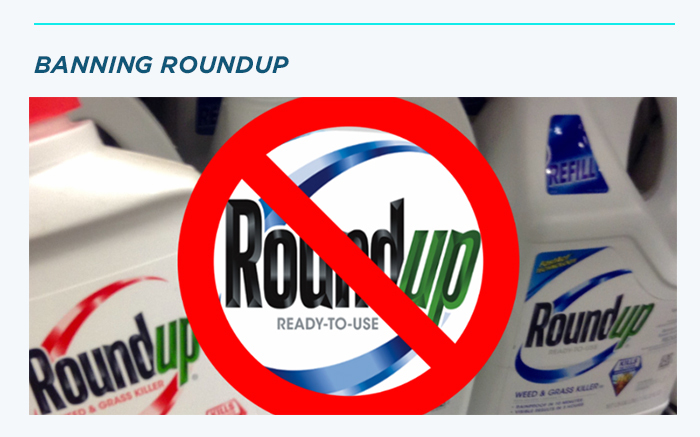 A California jury recently awarded a school groundskeeper who developed non-Hodgkin’s lymphoma with a $289 million settlement because the product manufacturer failed to disclose that the RoundUp was carcinogenic. The City can not afford to risk exposing its families, pets, employees, and environment to this substance, so I am proud that our Commission unanimously banned its use.